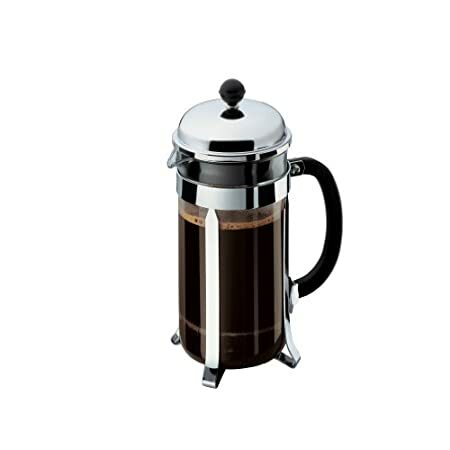 Currently we are selling this delightful range of french Press coffee makers at our store in Pensacola. However due to the difficulties of sending glass ware via the mail we are not yet selling them through our web site. Until we can source a cost effective carrier to reliably transport these items for a fair fee we would rather recommend them to you here via Amazon. The Bodum range is one we have found to be consistently well made and reliable. Our sister shop in Norwich England also sells them in store for the same reason. They are well made and durable and come in a range of sizes suitable for any need. 3 Cup this makes about 12 oz of fresh coffee in one go. 8 Cup this has a 34 oz capacity. and the 12 Cup This has a capacity of a whopping 51 fluid ounces! Naturally this well known and reliable company have other types and sizes but we feel the pictured “Chambord” range blends aesthetics and function the best for the price. Please just follow the links to view more styles. But one I would like to make sure comes to your attention is the Bodum Brazil Shatterproof 3 Cup Coffee Press This is made from crack and damage resistant poly-carbonate based plastic. A great choice to take on the go or to work and at a bargain price of less than $20 at the time of this writing! Try our our Kenya AA coffee for making in your coffee press! The Rich flavors of the African king of coffee beans shines through in this method of brewing like no other.